Eat healthy foods for robust health and longevity. Following a custom diet nutrition meal plan needs more than just willpower. Through education and emotional support, Karina tells you how to make necessary and long-lasting changes in your life. Get your nutrition mentor program and avail the benefits of mentoring and coaching after you’ve followed a customised healthy eating plan for one month. Choose Karina as your nutrition mentor online and take a step towards a healthy life. 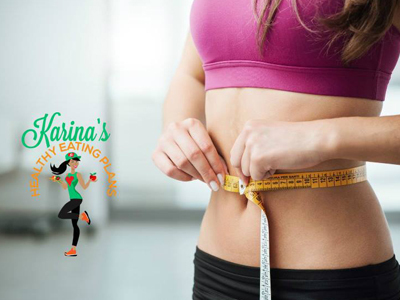 Nutrition coaching programs at Karina’s Healthy Eating Plans are specially designed by Karina to fit your health goals. She analysis your performance and guides you in a right way to achieve your health objectives. From foods to exercises, Karina’s approach helps you make a balance in your lifestyle. Karina uses her knowledge and experience to suggest you necessary changes to make in your lifestyle that stay for a long time to come. Karina tells you how to accept changes in the diet and exercises. Get clarity on a healthy lifestyle. Contact us for your nutrition mentor program. There are no lock-in contracts or direct debits for the coaching and mentoring program. The following is included for each month of coaching and mentoring.